Summary: Krit is openly gay, his oldest and deepest friend, Win is questioning. They have grown up together. They are as close as two boys can be. The fact that one is gay means nothing to the the other. As they have grown older, getting ready to separate for college, their love is coming to a test. Is it more than that of friends or is it something deeper? Krit has fallen deeply in love with Win. He keeps a book of pressed flowers, a book of memories of the moments that they have shared. When the two finally explore their passion, what will be the result? Originally made as a college graduate film, "Down the River" is a daring exploration of friendship and intimacy seldom seen from Thailand. 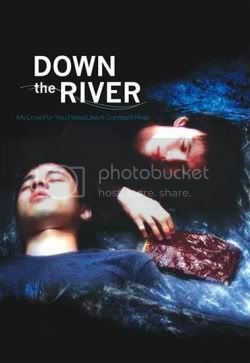 BUY "Down the River" DVD with English Subtitles!